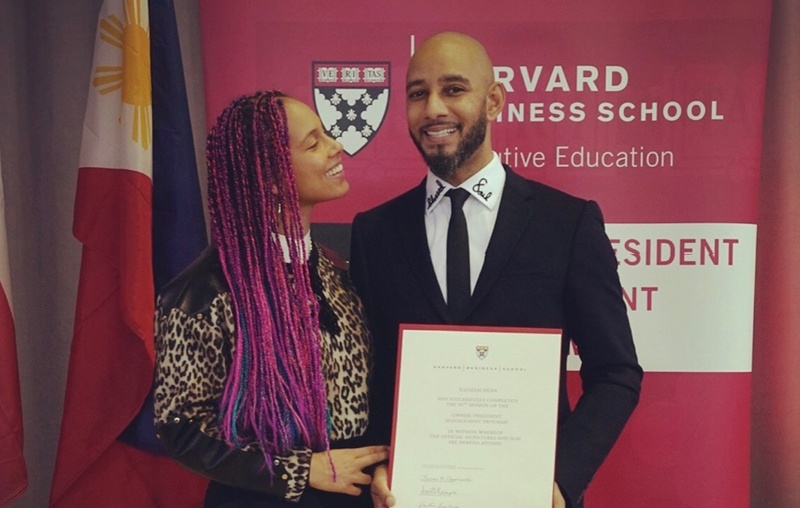 Swizz Beats (39) just graduated from Harvard Business School! Yes, he did it! Kassem Dean isn’t a name you would recognise in a snap but Swizz Beats in one you would recall either as a recording artist, a rapper or the famous Alicia Keys’ husband. It seems like a trend for music artist that they complete their education. We witnessed how Drake completed his High School Diploma at 25 now, 39-year-old Kassem Dean just finished Harvard Business School. The music world, social media couldn’t hold back their congratulatory messages, posts, retweets or reposts. Alicia Keys supported her husband by sharing his accomplishment on Instagram with her fans. She is happy and “can’t stop looking at him in amazement”! WOW!!!!! We’re so proud of you!! More than words can EVER say!!!! ??? Shinnnnnneeeeee 4EVER!!!!!!!!!!!???? ?” she writes. On the other hand, Swizz Beats plans to continue studying and get his Doctorate. He didn’t fail to share his feelings on his Instagram page as well. Watch Swizz Beats as he receives his award! This is so beautiful! This is just an inspiration to many and we are dead sure that others will be inspired by this move. We can’t wait for other artist bagging their degrees in 2018! Alicia KeysHarvard Business SchoolKasseem DeanLifestylemusicSwizz BeatsVickie O.
Kamdora Kitchen – Easy & Quick Thanksgiving Recipes To Try Out This Season!